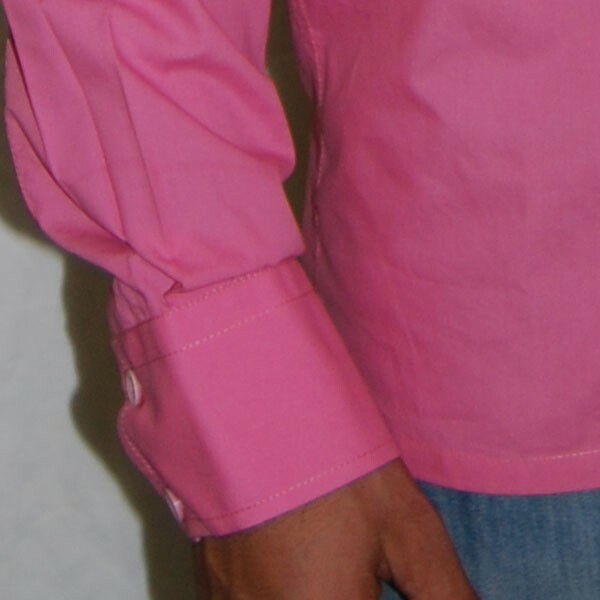 All the way glazed, all the way dusky pink, all the way stylishly slim formal wear. 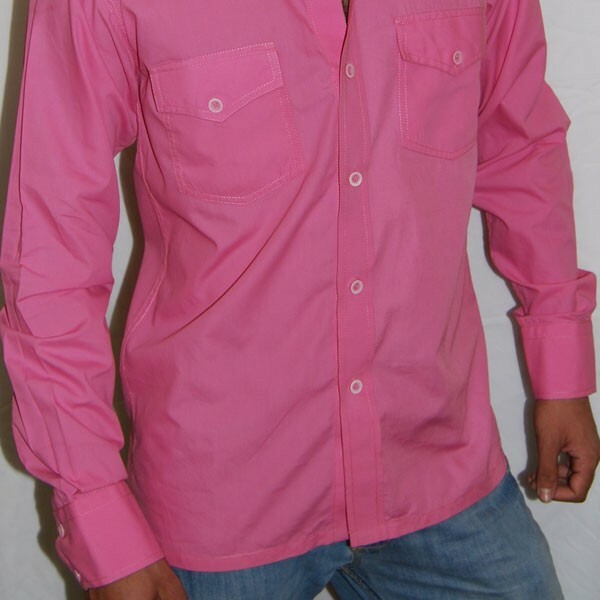 This shirt can pass off for an evening wear too. 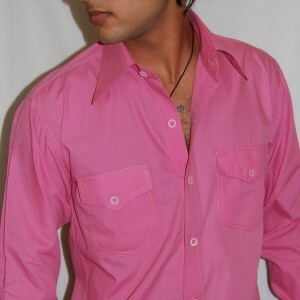 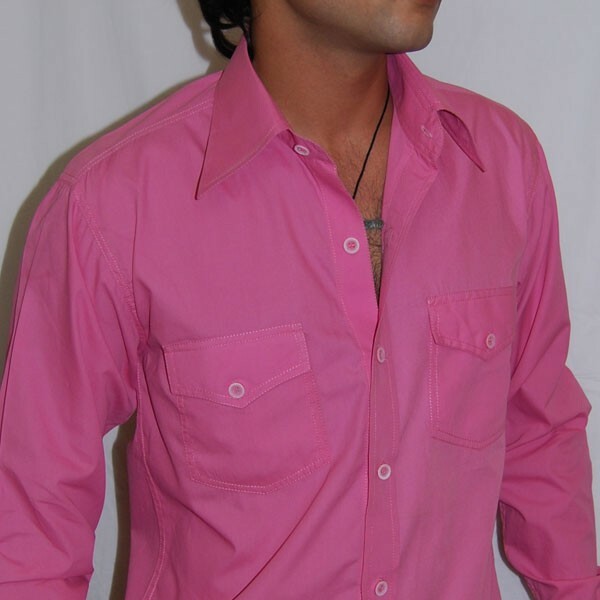 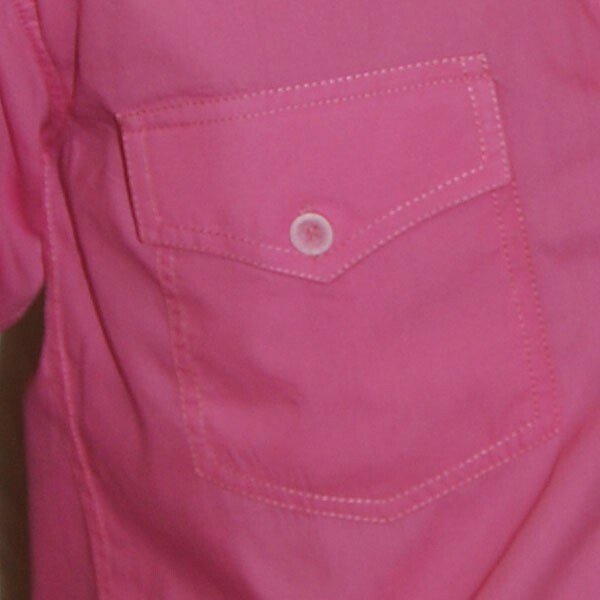 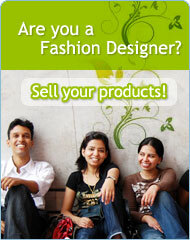 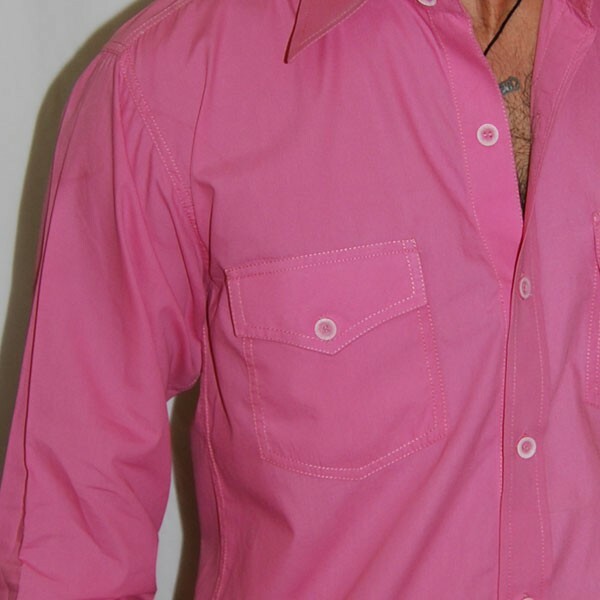 The two chest flapped pockets with white buttons and dimmed pink hemming just completes the designer look.